If you’re looking for things to do in Cabo San Lucas for cheap, you’re in luck. This resort town is full of affordable options that won’t compromise the fun. Cabo San Lucas, a gorgeous resort town in Mexico, is known for incredible beaches, ideal scuba diving, and a picturesque coastline. 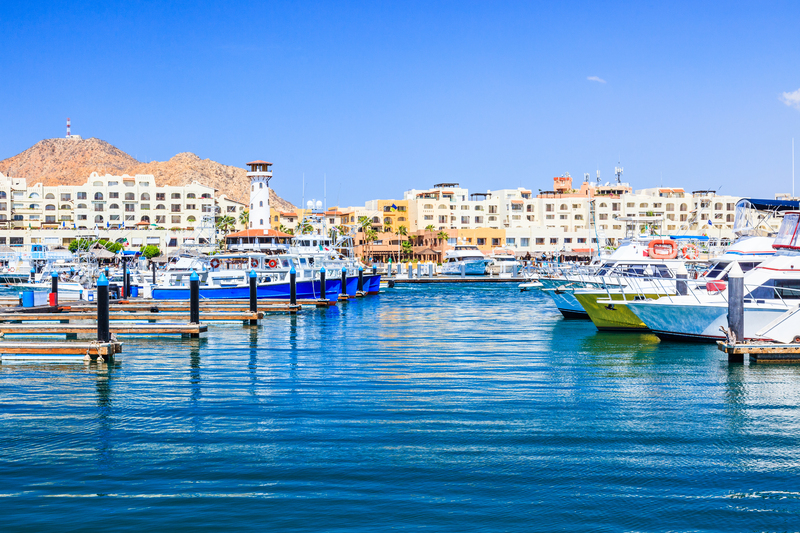 If you’re traveling on a budget, you may think you have to skip the glamorous Cabo scene, but the popular city has plenty to offer those looking for a budget-friendly trip. Check out this list of tips on how to save money on your Cabo vacation, as well as things to do in Cabo San Lucas for cheap. Airfare is bound to be one of the most expensive parts of your trip, so this is an important area to seek savings. Flights vary drastically depending on the season, and you can find some great deals if you travel outside of peak months. May, July, and September are excellent times to look for affordable flights. July and September are hotter months in the city, making May the most ideal time to travel since it is after spring break but before summer travel. The next most expensive part of your travel is typically your hotel or other accommodations. So, if you’re looking for affordable Cabo San Lucas vacations, all-inclusive resorts could be a great option. All-inclusive resorts include your meals and other vacation activities in the cost of the stay, so you’ll know how much you’ll be spending up front and there won’t be any surprises. Use travel sites like Hotels.com or Expedia to find other great deals on accommodations or check out Airbnb or VRBO for rental condos and apartments. If you’re traveling by taxi to get around Cabo, you’ll quickly rack up an expensive transportation bill. Instead, consider walking or using the bus as much as possible. You’ll see more of the city on foot, and burn calories while you’re at it. Walking will allow you to discover nooks and crannies of the city you may not have otherwise encountered if driving. Rent bikes as another fun way to travel and cover ground more quickly, or check out Uber or other ride-sharing options. Another great way to save is to look for tours or activities with round-trip transportation included. Take a look at the number of options offered by Cabo Adventures, all of which include this benefit. Bartering is common all over tourist areas of Mexico, so take advantage of this norm to save on souvenirs while in Cabo. Practice your bartering skills in advance to gain confidence. It’s an acquired skill that could greatly help you manage your budget. Don’t be afraid to negotiate, but be prepared to respect the asking price if they stand firm. If money is tight, head to the beach. Cabo has beautiful beaches to enjoy that don’t cost a thing. Spend a day or two exploring the coastline and hit some beaches along the way. Or ask locals where to find the best beaches and spend your days there relaxing in the sun and splashing in the water. If you’re looking for other cheap ways to travel, consider booking your activities with Cabo Adventures. We have cost-efficient deals and tours packages so you can stick to your budget and still make the most of your trip. Contact us today to learn more about the services we provide.